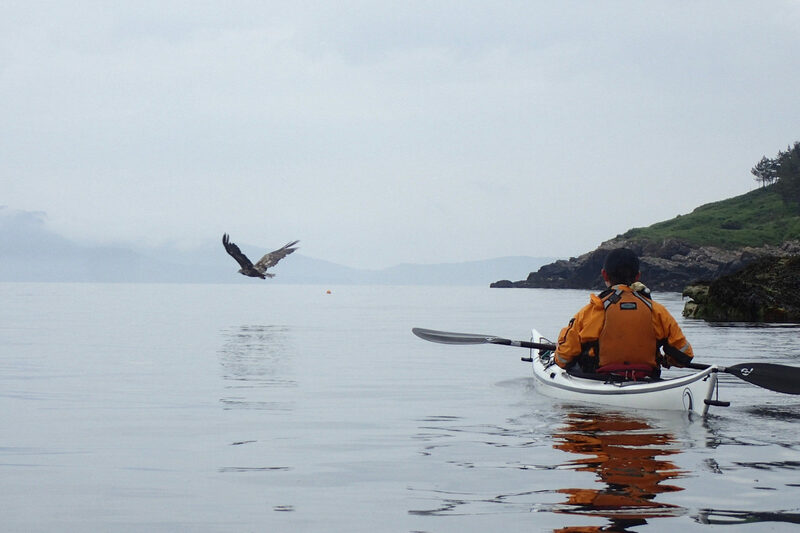 The are has a lot to offer the visiting sea kayaker, ranging from sheltered coastlines, crossings to islands and exposed headlands and ruined castles. On the land, Loch Sunart is known for its beautiful ancient oak woodlands where there are many walks to explore. If you have the energy, Ben Resipole, the highest peak on the Ardnamurchan, is on our doorstep. You should be capable of paddling in winds up to force 3-4 for short periods. We will have plenty stops for lunches and rests. Please ask if you are not sure whether you have suitable experience and opportunities for coaching will be available. To book please get in touch with me on the Contact Me page. A 25% deposit is required to secure booking.